When relocating to another country for work, or frequently conducting business abroad, learning the native language of that country can go a long way to building meaningful and successful relationships. Learning a foreign language, though, takes a lot of time and practice, and finding the time to pick up another language in an already hectic work schedule is difficult. That’s where Robertson’s online language courses can help. Our online language courses are completely flexible to your needs. We know that work commitments aren’t always set in stone and plans can change at the drop of a hat. Our language courses can be tailored to fit around your calendar. At any time of day, any day of the week, we can connect you with an expert language trainer from our vast database. And with no additional costs on such things as travel expenses, our online language courses translate into savings for you. Meaning that your language learning budget is being absolutely maximised. 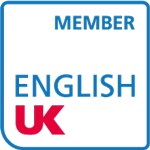 Robertson’s online language courses are carried out over Skype. Within seconds, you can connect to one of Robertson’s fully qualified, native and experienced Online Language Tutors. 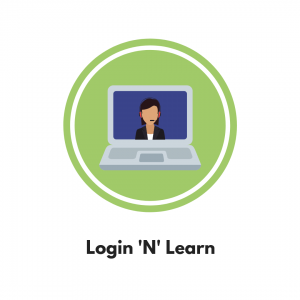 Our Login ‘N’ Learn package is perfect for people who are always on the move. Within seconds, you can connect to your certified teacher via Skype. It doesn’t matter where you are, all you need is a steady internet connection and a smartphone or computer. And you can forget the additional cost and time of travelling to the lesson. Our online teachers, all of whom have a detailed understanding of your industry, use flashcard software to help you master what you have learned during the lesson. 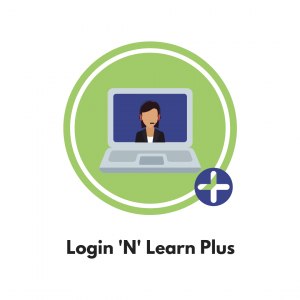 We also offer Login ‘N’ Learn Plus, which includes access to our portal, RLI365. You can practise new language skills from anywhere in the world, using any device. Motivate your employees to learn a new language by offering a flexible language learning programme. Online language learning helps keep the costs down, fully maximising your budget. Learn a language in the comfort of your own surroundings – your home, your office or on the road. Fit our online language courses into your schedule and learn at your own pace. Moving to a foreign country is stressful enough without worrying about communicating in another language. Our online language tutors will help you learn the language based on your experiences and needs, and will give you a better understanding of your new cultural surroundings. Young people can learn a new language in a fun and nurturing environment. Skype software can be used to make language learning engaging and meaningful, developing a range of communicative skills. Why choose our online language courses? High-quality guaranteed: Our online language tutors are carefully vetted and have a wealth of experience as language trainers. All our tutors are native to your target language, so you know you’re being taught the language as it is being spoken today. Convenient: Learn when you want, how you want and what you want. Our courses are fully personalised to you and your needs. You’ll get the results you desire in the quickest possible time. Cost-effective: No added costs mean that you can fully maximise your budget on language learning to get the most out of your training experience. Sector-specific: We look for language trainers that have experience in your field, so you know that you’ll be able to communicate freely and effectively in your business setting. For a free discussion of your online language course requirements please contact us on +44 (0)118 934 6000 or fill in our contact form.